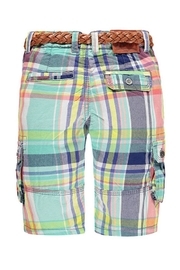 Like a summer picnic, but with all the cool utilitarian details that a boy needs. 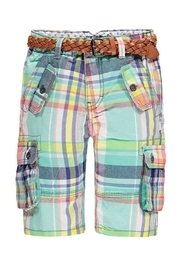 Loose fit, long bermuda shorts from Kanz. 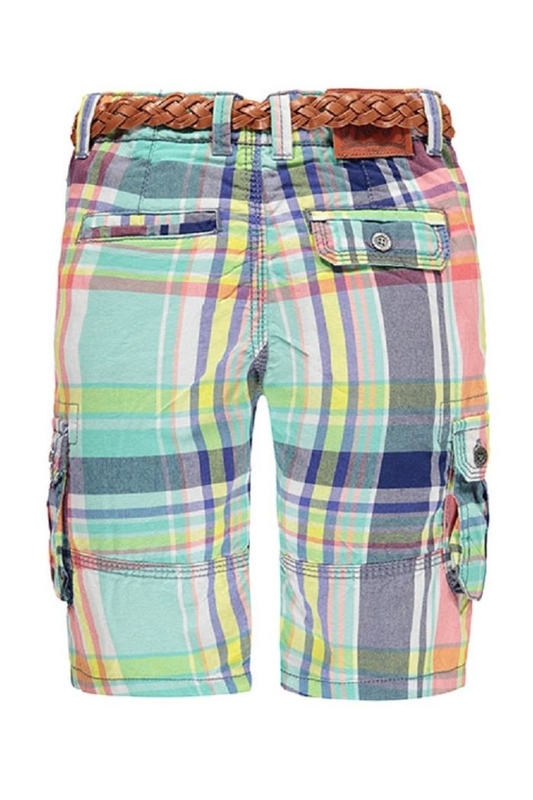 In a multi-color bright plaid, with belt loops, angled slit pockets on either side of the front with faux angled flap pockets with button closure on either side of the slit pockets. 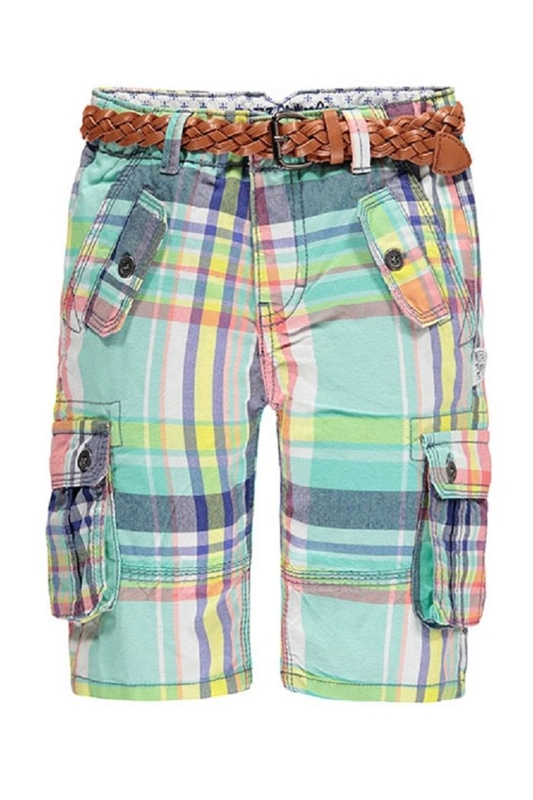 Large cargo pockets on either side on the bottom. Seam detail with contrasting stitching in blue. Single welt pocket on left side of rear, with welt flap button closure pocket on the right. Kanz faux leather logo on the right waistband. 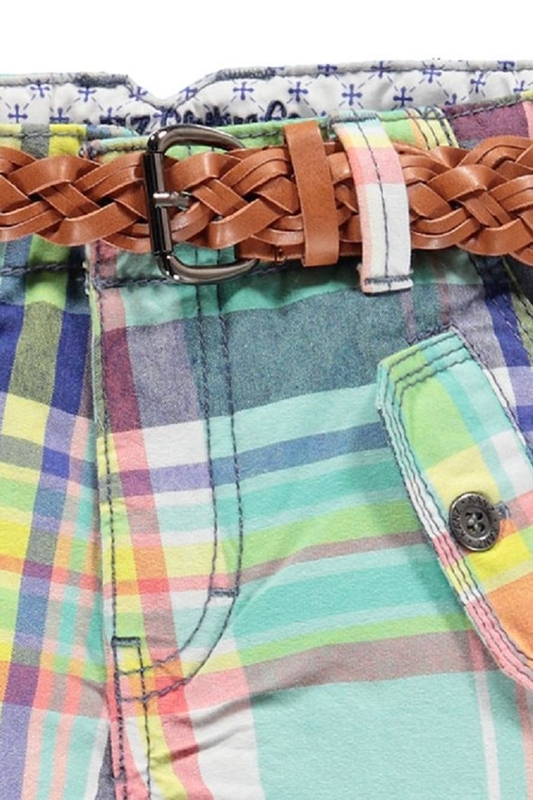 Includes a camel colored braided belt that can be adjusted to any waist. Silver hardware. Hook and eye closure at waistband, and zip. Adjustable waist in the interior. Care Instructions: Machine wash color with like colors. Do not bleach. Tumble dry low. Medium iron.